Soldiers from 7th Combat Service Support Battalion conduct live-fire training in the Shoalwater Bay training area on Exercise Diamond Run 2017. 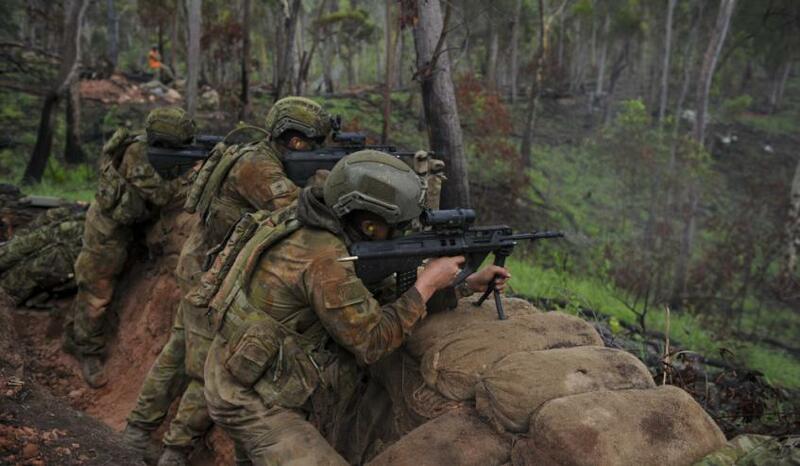 Image via Commonwealth of Australia, Department of Defence. North Queensland businesses will be briefed this week on opportunities to secure lucrative contracts, as part of Defence’s Australia-Singapore Military Training Initiative (ASMTI). The Department of Defence is hosting two industry briefings this week, one in Townsville and one in Rockhampton, where businesses, industry representatives and community stakeholders will be provided an update on implementation activities, timeframes and future tender opportunities. Defence is currently seeking to expand and develop the Shoalwater Bay Training Area through the purchase of land from willing sellers. Expansion and enhancement of this renowned training area will support the Australian Defence Force's capability and enable both Australian and Singapore troops to conduct their training exercises concurrently under the ASMTI. Defence is also seeking to purchase land from willing sellers at an alternate site in north Queensland, near Greenvale, Ravenswood or Pentland. Defence will continue to engage with willing sellers near Greenvale but has said sites near Ravenswood and Pentland will be considered "should Greenvale prove not to be feasible". The two briefings come after Defence Minister Marise Payne unveiled the Local Industry Capability Plan in September this year. The new plan aims to give businesses located near where the work is the best shot at securing the contract. Tenderers bidding for major capital facilities projects will be required to state clearly how they have engaged with local industry in providing their tendered solution, and how local industry will specifically be involved in delivering the work packages that underpin the project. The new framework is being piloted on three projects, including the Townsville Field Training Area Mid-Term Refresh, an around $24 million project to ensure the training area is fit for purpose, safe and environmentally compliant, and the Shoalwater Bay Training Area Redevelopment, an around $135 million substantial infrastructure upgrade project. Detailed construction design work for facilities and infrastructure for the projects will commence soon and development is anticipated to start in 2019 and finish in 2026. The Townsville briefing will be held tomorrow at the Townsville RSL at 7am and the Rockhampton briefing will be held at Korte's Resort from 8am on 14 December.